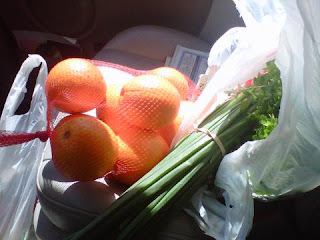 The Southern Vegetarian Chronicles: A Blast from the Past-What's Your Food Lifestyle? While pondering what to write this week I thought about the spirit of transition that is in the air now. From life situations to a more healthy diet, life is about change. Here I've attached a blog entry from last year with ideas that I came up with to aid in the transition to more healthy eating habits. I originally wrote this for an old college buddy but found it would be helpful for anyone. So for you folks out there who needed a little assistance, enjoy! click here--->What's Your Food Lifestyle?